YESTERDAY THE HIGH Court ruled against a mother who refused to allow her five-year-old son to get his MMR and 4-in-one vaccinations, saying he must now receive the jabs, the Irish Examiner reports. While this case was a dispute between the boy’s parents and not the merits of vaccination, it is not the first time that a parent has expressed opposition to vaccines for their children. Concerns about the side-effects of early vaccinations have been raised by parents in Ireland, particularly about the possibility of a link to autism, though a US study has claimed there is no connection and with recent outbreaks of measles, the importance of these booster shots has been emphasised. However, just last year, a report found that a swine flu vaccination was the cause of unique narcolepsy disorder in 54 people in Ireland, including several children. 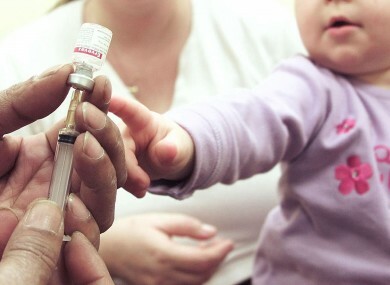 So we want to know: Should vaccinations be compulsory for children? Email “Poll: Should vaccinations be compulsory for children?”. Feedback on “Poll: Should vaccinations be compulsory for children?”.